In this day and age, the human body undergoes the most wear, tear and injury and is more prone to them than any age in history. It is twisted and stretched in all kinds of ways imaginable as we try to make ends make on a daily basis. West Knoxville Chiropractic knows this all too well, which is why we are always on the fore front in offering a drug-free approach in killing pain and offering relief for patients with lower back pain, since 2006. Lower back pain is a disorder that involves the back nerves, bones and muscles that lasts between six to twelve weeks depending on severity. Patients have described it as a constant, dull ache, while others say it is a sharp, sudden feeling. Its causes remain unidentified, but stress, poor posture, obesity, lack of regular exercise, smoking and weight gained at pregnancy are among those have been credited as contributors. Ideally, lower back pain should improve on its own in about six weeks. If it does not, we encourage sufferers in Knoxville to try Dr. Nathan Leavitt as soon as possible to determine the next course of action. We at West Knoxville Chiropractic strive to offer natural techniques to help our patients get whole again in no time. We also strive to be Knoxville’s chiropractor of choice by dispensing skillful and professional services courtesy of Dr. Leavitt. His rich academic career and chiropractic experience make him best suited to help patients, new and old, to combat lower back pain using a variety of research-backed treatments that have been proven to yield positive results every single time. In order to establish the root cause of the pain, he will exercise a thorough examination of the spinal column, and afterwards do his best to help you get rid of the pain using only the most natural and drug- free methods of spinal adjustment. Once he determines what seems to be the problem, you begin your treatment as soon as possible, so you can set out to lead a normal, pain-free life. Call West Knoxville Chiropractic Today! 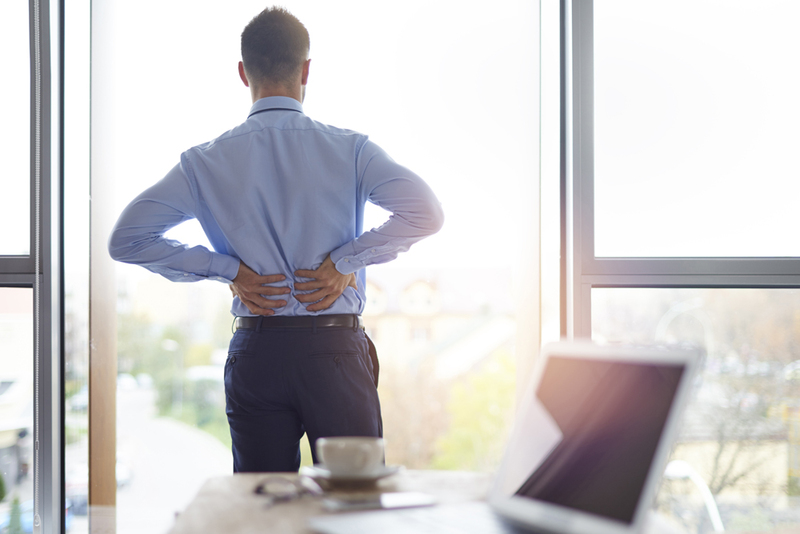 We at West Knoxville Chiropractic are aware of the implications that lower back pain can have on your life, and it is our sincere wish to be the chiropractor to handle your diagnosis, treatment and overall recovery. Our friendly and dedicated staff will give you all the care you need to get better in no time. Call us on (865) 287-5904 or visit our office at 6311 Kingston Pike #28W, Knoxville,TN. today!